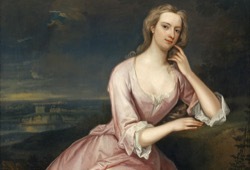 She was destined to become the mistress of a King, the toast of the royal court and the owner of a handsome Palladian mansion set in 72 acres of prime Thames riverside. That lay ahead. Rock the Night Away to sounds of the 60’s, 70’s and 80’s with live music from the 60’s All Stars. 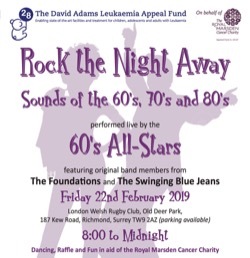 Dancing, Raffle and Fun in aid of the Royal Marsden Cancer Hospital. A new step-free access gate will be installed at St Margarets station to make travelling easier for people with mobility issues. 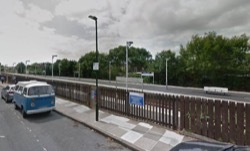 The scheme is being jointly funded by South Western Railway and the London Borough of Richmond. A free public information evening for EU citizens living in the borough will be held at Richmond and Hillcroft Adult Community College, Parkshot TW9 2RE from 6pm on 5th March 2019. Sunday 28th April 2019, 10am - 3pm at Kilmorey Mausoleum wildlife garden. 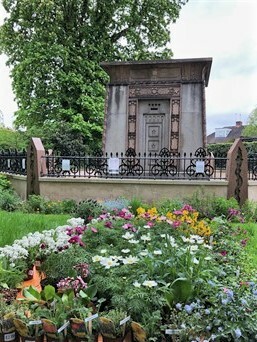 After the huge success of last year’s Plant Sale, Environment Trust is running its second Plant Sale and combining it with an Open Day at the Grade II listed Kilmorey Mausoleum in St Margarets on the 28th April 2019. 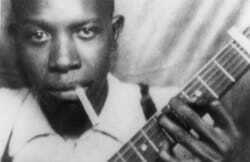 Although most of us live within amplifier range of Eel Pie Island, that nursery of early 60’s British Blues, there isn’t very much that any of us know of Robert Johnson, described by Eric Clapton as “the most important blues singer that ever lived.” In fact because his life is so poorly documented there is little that any of us really know about him apart from the fact he has become a prime influence in blues and a legend - the man who sold his soul to the devil one night on a Mississippi crossroad in exchange for success. Residents and business owners of all nationalities have been assured the Council stands ready to support them as the Government’s chaotic Brexit preparations raise concern for local authorities. Residents are encouraged to kick start 2019 by de-cluttering their old or broken electrical items. Richmond Council and West London Waste Authority are hosting a recycling collection for old, small electronic equipment (WEEE). 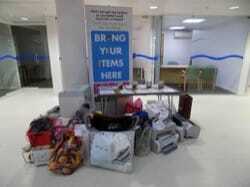 From 11-15th February from 9am to 5pm at the Civic Centre in York Street, items can be donated. 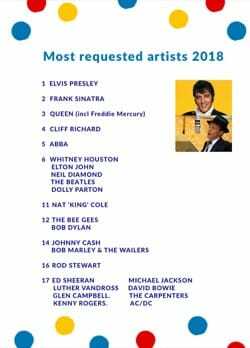 Radio West Middlesex, the hospital radio station at the West Middlesex University Hospital, has counted up the requests they have collected from patients during 2018 and have revealed the most requested artists and songs.